I’ve now been without Facebook for about six months. I’m still not missing it, although I will admit it’s caused a few problems – I’ve lost touch with a couple of friends, and my attempt to get involved in a local volunteer project has been massively complicated by the fact that they only use Facebook to communicate with people. Ah, well – neither of these issues are big enough to tempt me back into letting Zuckerberg make millions out of my data by flogging it to dodgy organisations. I won’t miss that at all. Privacy is a big issue online, of course. It’s only one of many issues. However convenient modern electronic communications are, there’s something essentially quite disposable and unappealing about them, and so I’ve taken to communicate in a rather more traditional way – the letter. It might seem extraordinarily archaic, and some people are baffled as to why I bother, but there’s something wonderful about receiving something unique and personal in the mail. There’s a lot of other advantages too, which I’ll get onto later. I was born in 1974, so grew up long before email, the Internet and social media were on the radar. Having penpals was something most of us tried at some point, and in the eighties and early nineties I had a few, from assorted sources. One was from The Wide Awake Club, a Saturday morning kids’ TV show that anyone of a certain age will remember. Viewers could fill out a little card with their age, interests etc, and you got back a computerised print out with someone’s name and address on it, to write to them. I kept that up for a while. It’s proof that we lived in a slightly naive and innocent age back then (this was about 1985) – you could get the home address of a child with absolutely no checks whatsoever that you were who you said you were! I could have been a man in his fifties for all they knew…but anyway, nothing untoward happened and it was all fine. Later on, I was an avid reader of Your Sinclair magazine, and had a few interesting penpals from their small ads column. Oddly enough it always seemed to be girls who advertised for penpals, who’d clearly nicked the magazine from their nerdy games-playing brothers. I had proof of this in writing. I always liked female company anyway, so it suited me. Fast forward a year or two, and after I left school in 1992, I spent a year away from home doing some voluntary work with a church on the South Coast (about sixty miles from where I grew up). At that time, mobile phones were extremely rare, landline phone calls were still quite expensive and email was only common in academic circles. Keeping in touch with friends called for regular letter-writing, and on my days off I’d often go somewhere peaceful and scribble a few missives off to my loyal bunch of correspondents at home. Sadly all those letters have gone missing over the years, but I do remember quite clearly the pleasure and joy of keeping in touch with my friends in this way, and seeing what was happening with them all – this was a significant time in our lives, as many of us took our first faltering steps into the adult world, moving away from home and having new adventures and experiences. It was all shared on the pages of the letters we wrote to each other. Before long, of course, texting, emails, blogs and social media came along, and I’ve been an enthusiastic early adopter of all of them. Friends Reunited, a now-defunct website, was a big factor in re-establishing contact with lost friends, and then of course Facebook came along and swallowed up everything, becoming pretty much a default method of communication. However, a few years ago, a friend of mine made a chance comment on Facebook about wanting to write letters – so we started writing. This added to the small number of people who still wrote to me occasionally. Before long, I realised that Instagram has quite a large community of people who like writing letters, so I started writing to a few of them. Then, a couple of years ago, I joined the League of Extraordinary Penpals, a group of nearly a thousand people who share their contact details and interests on a database. I’ve had loads of lovely letters from members all over the world. Over the last few years, I’ve sent and received a good few hundred letters, to and from dozens of people, and it’s been a wonderful experience. The letters vary enormously, but all are unique and individual things, with a lot of effort put into them. Some are works of art. 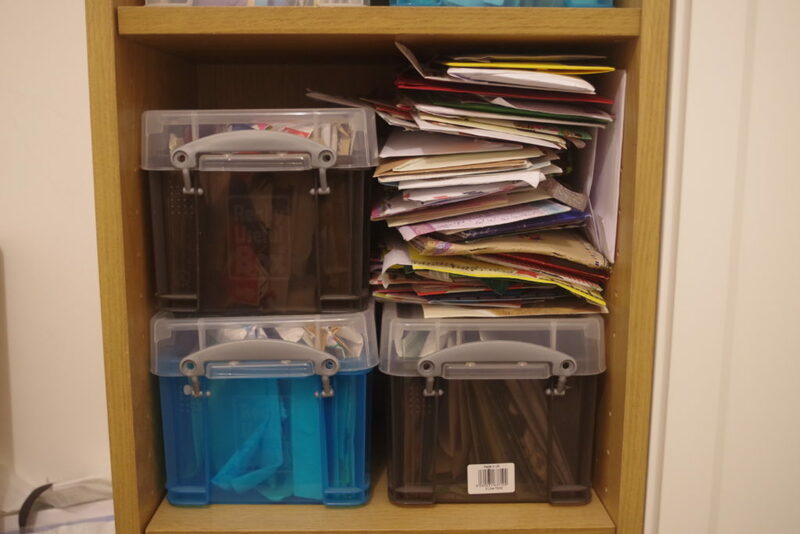 Some contain photos, flyers, zines, newspaper cuttings, tea bags, sweets, beer mats, bus tickets…you name it. Each one tells a story and fits into the timeline of someone’s life, offering a snapshot of what they’re thinking and experiencing. It’s so much better than the irritating beep of a Facebook notification. It takes effort, it takes time, it can be unreliable and a bit difficult sometimes, but there’s a certain amount of magic involved. There’s still a glorious romance to it all. Digital communication may be fast, but it just can’t compete with that! I also think there’s something much more permanent and tangible about letters. Given how quickly the Internet developed, a lot of the material transmitted on it in the early days has been irretrievably lost. This is down to stuff not getting backed up, websites going down, phones getting replaced, physical media becoming obsolete and corrupted, file formats changing…there’s potentially quite a large digital black hole in our future records of things. A lot of material will be inaccessible. Not a problem with letters. You also don’t have to worry about governments snooping on it, or every opinion you’ve ever held being filed away somewhere and used to flog you junk you don’t need. For someone like me, who is getting a bit tinfoil-hat-ish about using the Internet, letters are a bonus! In an era where we’re supposedly “connected” to everyone electronically, loneliness is still a big problem, but letters make you feel valued and appreciated, as someone takes the care to craft one to you. The act of writing a letter involves slowing down, thinking about what you’re going to write, interacting with your correspondent, and I find it a wonderful way to step back from what I’m doing, think about things and process my ideas and worries. It’s gloriously therapeutic. I’m always on the lookout for fun stuff to send. I’ve written letters on the backs of menus and on plane boarding passes, I’ve turned photos into postcards, I’ve made envelopes out of Christmas wrapping paper, and I’ve even developed a love of sending the smallest possible envelopes I can get away with, well below Royal Mail’s recommended minimum size. 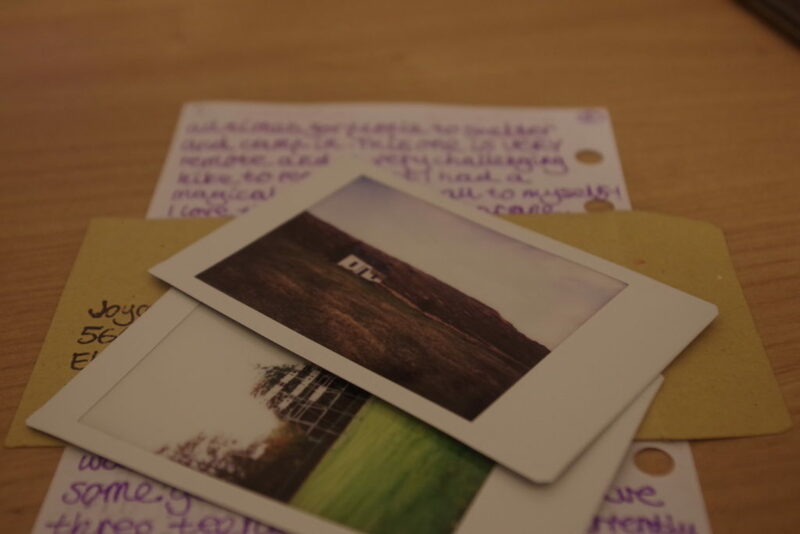 I’ve recently got hold of some small envelopes that are perfect for sending Instax Mini photos to people. There’s a couple winging their way to American recipients as we speak! Sending Instax Minis around the world in tiny envelopes, breaking all the rules on minimum sizes. Never had one go missing yet! I didn’t get Your Sinclair (zx81), but did buy Electron User. Never did think to advertise that way for penpals in my youth. Instead, the school got forms for the International Youth Service (?) and I had penpals, albeit briefly, through them. I remember seeing stamps on Blue Peter appeals! Stamps saved, sent to them, and then they were able to raise money for various things! Pity with the 60th anniversary of the show, Royal Mail didn’t celebrate that but instead went for Harry Potter. I went to a National Trust house and there was an exhibition of letters written during WW1. I mentioned to one of the volunteers about my love of letter writing and the response was, “Isn’t that a hobby for children?” Hmm… Yes, it should start in childhood, but that doesn’t mean it cannot be continued well into adulthood – and the same also goes for games, still have the Acorn Electron somewhere, as well as board games not like Monopoly/Cluedo! A lot of people think I’m utterly nuts for continuing to write letters, but it’s a wonderful activity, and I reckon it greatly enriches my life.